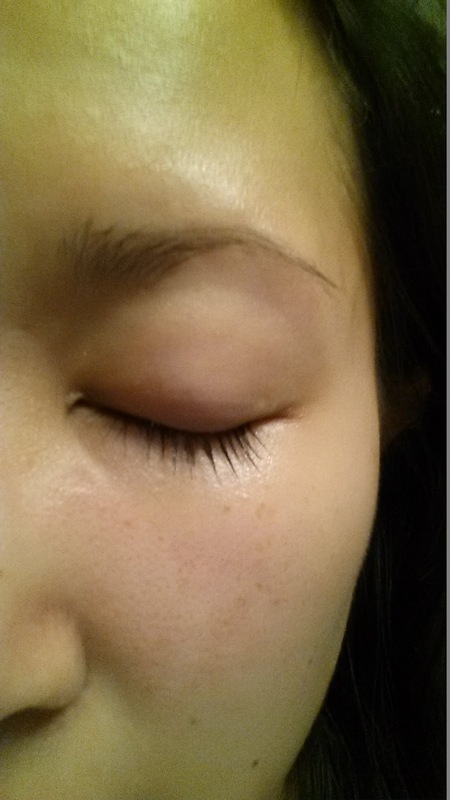 Do you want thicker, longer lashes? Hell yeah, you know you do! So how do you get it? You can try layering on the mascara, or paying for expensive, finicky extensions, or you can try Lashem. 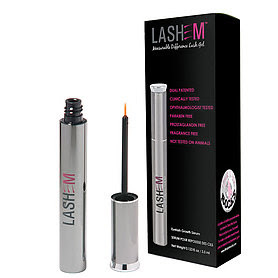 Lashem is a revolutionary eyelash serum that promises to naturally grow and thicken your existing lashes. Think of it kinda as the Rogaine for eyelashes. According to the Lashem website, clinical trials resulted in a 46% increase in length in just 6 weeks. 46%!! I first discovered this product at this year's London Drugs preview and was immediately intrigued. My lashes are fairly long for Asian lashes, but I've always wanted a dark, thick fringe. Would this finally be my HG product? Lashem contains a proprietary mix of peptides, amino acids and a special "Qusome" delivery system that ensures that ingredients adhere to lashes. A 3mL tube will cost you $70, which is quite a significant investment; however extensions will cost you at least that or more, so relatively speaking it's not too bad a price. Lashem comes as a single tube per box with a thin, paint brush-like applicator, similar to a liquid eyeliner. Using this product isn't exactly no-fuss as there are a few steps to applying Lashem. First, you must start with clean, bare eyelids and then apply a thin line of product along your top lash line. 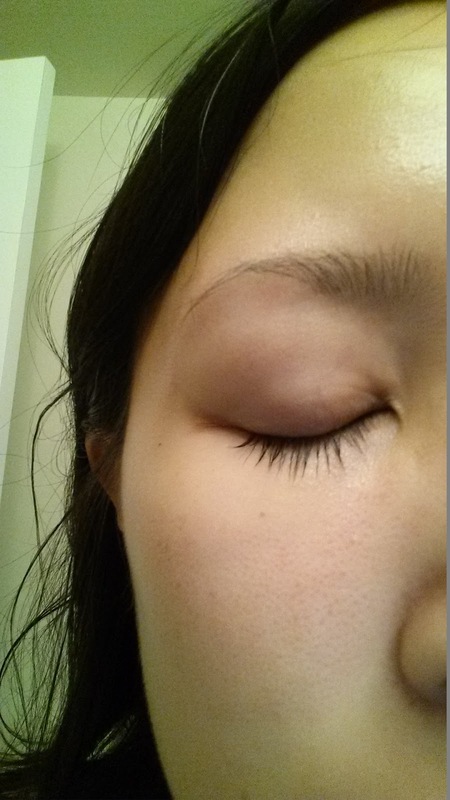 Let it dry, then apply a second line on top and another line along your bottom lash line. It takes about a minute or so to dry between applications, so I'd recommend doing this only at night. The instructions also state that you should follow this routine everyday for about 4-6 weeks, however I was only able to stick to using it for 3 and half weeks. The reason for my giving up on this product after 3 weeks was because every time I applied Lashem, my eyelids would sting really badly. My eyes stung so bad, that I was really tempted to itch my lids and it was torture trying not to. Nevertheless, I persevered as long as I did to try to give this product a fair chance. As you can see, there isn't much difference between week 0 and week 4. I was very disappointed with this product. For all my pain, there was no gain. Perhaps if I had kept it going for another 2 weeks, I would start to see some results, but I'm pretty skeptical that my lashes would grow 46% suddenly in another week. Despite the awesome claims to have a non-prescription solution to growing lashes naturally and safely, this product failed to live up to any of its promises. I still haven't gotten around to trying this so I'm glad you did this review. Too bad it was a fail... seemed so promising! 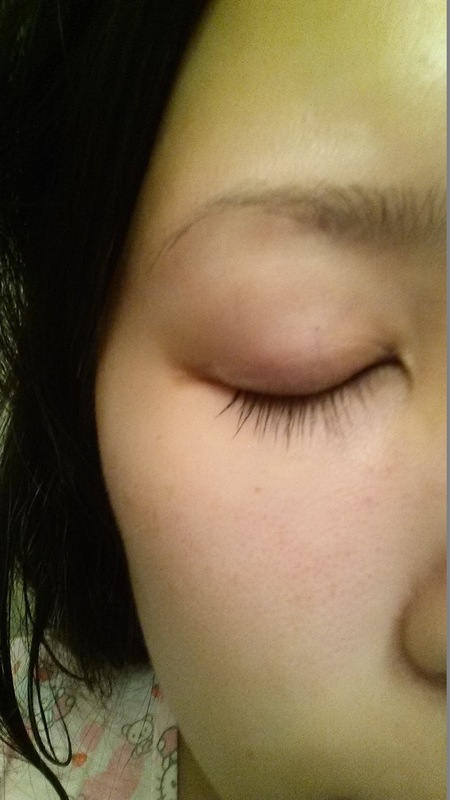 All your suffering :< I think lash extensions are the only hope for us Asian girls! Oh so bad that product doesn`t work. I like the beginning photo best anyway! I must say it's a good review. The growth result of this product not so bad. 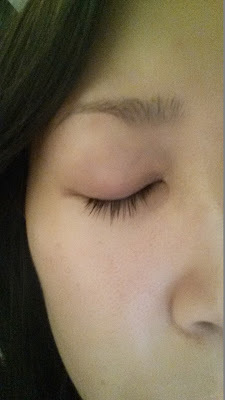 I have tried lots of serum to make my lashes longer and darker and stop fallen but i din't get the result one of my best friend have suggested me to use xlash eyelash serum form http://www.xlash.net/ After using xlash my lashes did not fall out constantly and my eyelash looks darker as well as longer. So i will suggest to everyone to use it.